with reliable real time information. ‘’Novatronic’’ stationary displays have extremely long life-cycle, excellent displaying parameters, great robustness, reliability and they are maintenance free. The automatic adjustment of display brightness to ambient light conditions, makes our LED displays highly visible and ideal to display passenger information at any conditions. 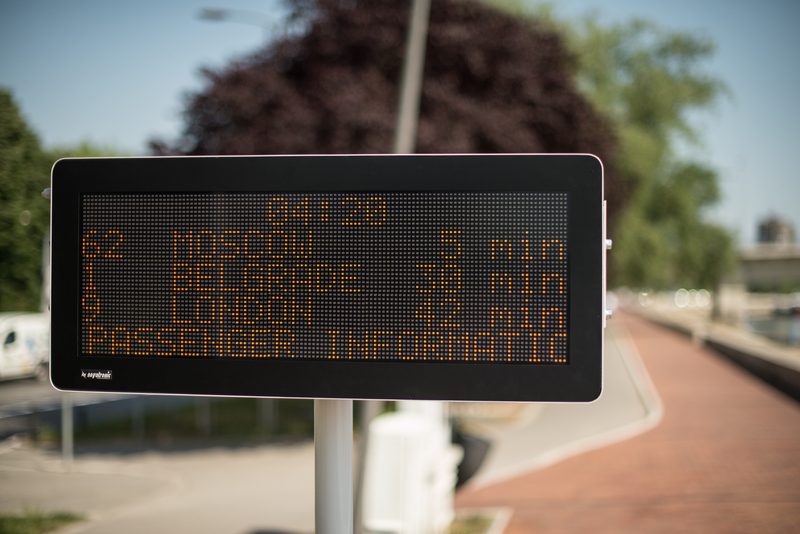 Sleek design allows to place displays invarious areas such as bus stops, railway stations, airports and other transport junctions. Modular design allows various resolutions and sizes of displays and devices can be operated through different communication interfaces and open standard and proprietary protocols.